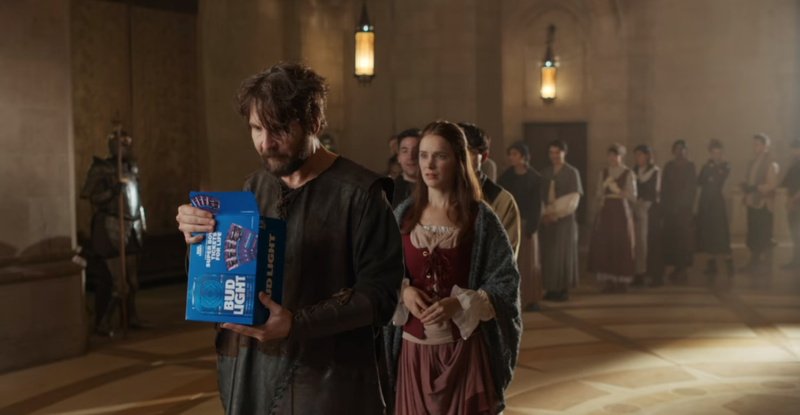 Bud Light continues its comical 'Game of Thrones' theme with the uber-catchy 'Dilly Dilly' phrase that’s been a viral hit on social media. The 15 second spot called, 'Handouts' is aiming to promote the beer-making giant's “Super Bowl Tickets for Life” Sweepstakes. The TV ad debuted on Dec. 11th and will continue to air on NFL and other sports programming through Jan. 22nd, when the sweeps entry period ends. In this second year of the sweepstakes, fans can enter for a chance to win four tickets to each Super Bowl for up to 30 years, starting with the 2018 game in Minnesota. The “Dilly Dilly” phrase was first used by Bud Light in August, in their Banquet TV spot under the brand’s “Famous Among Friends” marketing platform. To date, that spot has been viewed more than 1.64 million times on Bud Light’s YouTube page.